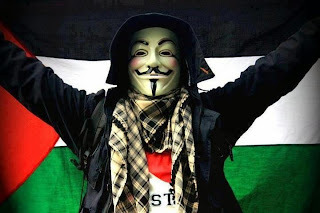 The International Hackers Group (Anonymus) announced its readiness to launch a massive electronic attack against Zionist sites on Friday (November 14th), a victory for the Palestinian people against the recent attacks against them. Hackers group Anonymus intends to launch massive electronic attacks starting Friday, and is expected to target these attacks mainly the sites of the Zionist government in addition to sites belonging to the Zionist occupation army. This is not considered the first attack launched by the group Anonymus on the sites and electronic interests of Zionism in support of the Palestinian cause has already carried out a similar attack during the recent Zionist aggression on the Gaza Strip in addition to the infiltration and leaking of sensitive banking information in the month of April.